The benefits derived from urban forest ecosystems are garnering increasing attention in ecological research and municipal planning. However, because of their location in heterogeneous and highly-altered urban landscapes, urban forests are vulnerable and commonly suffer disproportionate and varying levels of stress and disturbance. 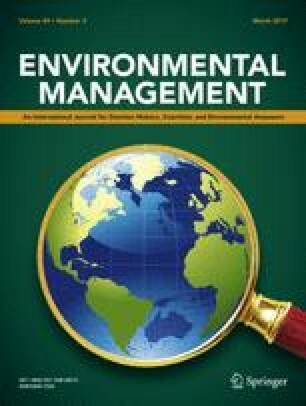 The objective of this study is to assess and analyze the spatial and temporal changes, and potential vulnerability, of the urban forest resource in Toronto, Canada. This research was conducted using a spatially-explicit, indicator-based assessment of vulnerability and i-Tree Forecast modeling of temporal changes in forest structure and function. Nine scenarios were simulated for 45 years and model output was analyzed at the ecosystem and municipal scale. Substantial mismatches in ecological processes between spatial scales were found, which can translate into unanticipated loss of function and social inequities if not accounted for in planning and management. At the municipal scale, the effects of Asian longhorned beetle and ice storm disturbance were far less influential on structure and function than changes in management actions. The strategic goals of removing invasive species and increasing tree planting resulted in a decline in carbon storage and leaf biomass. Introducing vulnerability parameters in the modeling increased the spatial heterogeneity in structure and function while expanding the disparities of resident access to ecosystem services. There was often a variable and uncertain relationship between vulnerability and ecosystem structure and function. Vulnerability assessment and analysis can provide strategic planning initiatives with valuable insight into the processes of structural and functional change resulting from management intervention. The online version of this article (doi: 10.1007/s00267-016-0782-3) contains supplementary material, which is available to authorized users. Funding for this project was provided by the Natural Sciences and Engineering Research Council of Canada (NSERC) and Ryerson University. We also thank staff members at the USDA Forest Service and the Davey Institute in Syracuse, New York, for their assistance with the i-Tree models. This research was, in part, conducted and funded during the lead author’s Fulbright exchange at the Forest Service’s Northern Research Station in Syracuse, New York. Fulbright Canada is a joint, bi-national, treaty-based organization created to encourage mutual understanding between Canada and the United States of America through academic and cultural exchange.